Q. 안녕하세요!자기 소개와 담당하고 계시는 제품 소개 부탁 드립니다. 안녕하세요 저는 TCD 기술지원팀 이승준 사원입니다. 현재 담당하는 제품은 Apex, Patran, TSV등의 Pre/Post Product와 Nastran입니다. Q. MSC Apex이 가지고 있는 특장점은 어떤 것들이 있나요? Adams 2015.1 버전에 적용된 MaxFlex는 다물체 동역학 해석에서 직접 구조물의 비선형 특성을 반영하여 해석 할 수 있도록 Implicit Nonlinear FEA(Finite Element Analysis)의 기능이 Adams에 Embeded된 기능입니다. 2014년 3월, 아래 Roadmap과 같이 프레데터(Predator: 포식자) 이름의 프로젝트로 개발된 MSC 차세대 통합 플랫폼인 MSC Apex는 ‘MSC Apex Modeler’와 ‘MSC Apex Structures’ 두 가지 모듈로 구성되어 있으며 현재 Eagle 버전까지 개발되었습니다. VI-grade is happy to announce the updated list of sponsors and speakers for the 2016 International Users Conference, that will be held on April 12th-13th, 2016 at the CASINO GESELLSCHAFT located in the enchanting city of WIESBADEN, Germany. 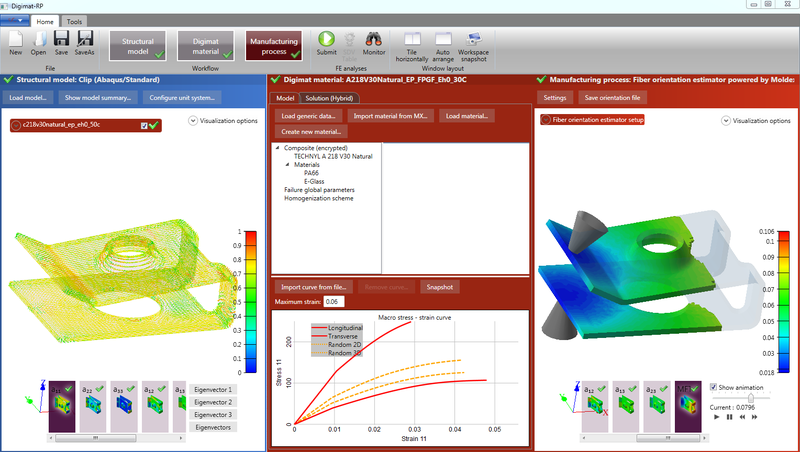 LUXEMBOURG–(November 11, 2015) – e-Xstream engineering, an MSC Software company, today announced the release of Digimat-RP/Moldex3D (an OEM version of Moldex3D embedded in Digimat-RP) that provide Computer Aided Engineering (CAE) engineers with injection molding simulation from within Digimat-RP.